Candaqbank helped me cover the breadth and depth of all topics covered in amc mcq cat exam. I passed my exam in first attempt. Sonali Meena * ADELAIDE, AUSTRALIA * MD * International Medical Graduate (IMG) * Preventative Medicine * Studied for 1 month(s), with CanadaQBank.com's 'QBank for the MCCEE'. 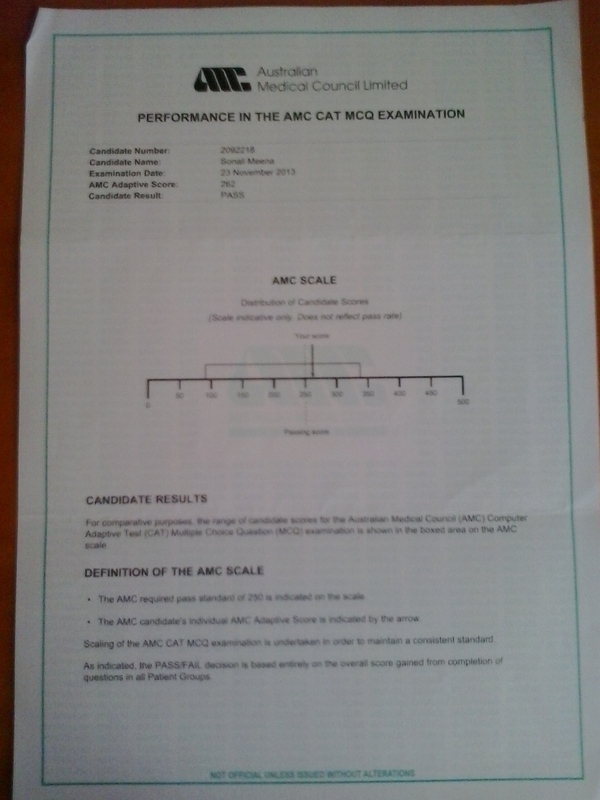 Passed the AMC MCQ CAT with a score of 262.